Looking to rent a flat, apartment or house from a lettings agency? Before you sign on the dotted line, it's important to know exactly what you're getting into – which means putting the right questions to the property's lettings agent about everything from the landlord's contact details to the length of the contract. Follow our guide to ensure your rental property is the right one for you. Find out more in our beginner's guide to renting a house, flat or apartment. Find more guides on our renting and property pages. 1. How long is the contract for? An Assured Shorthold Tenancy (AST) must be for a minimum period of six months, though most contracts are for a year. 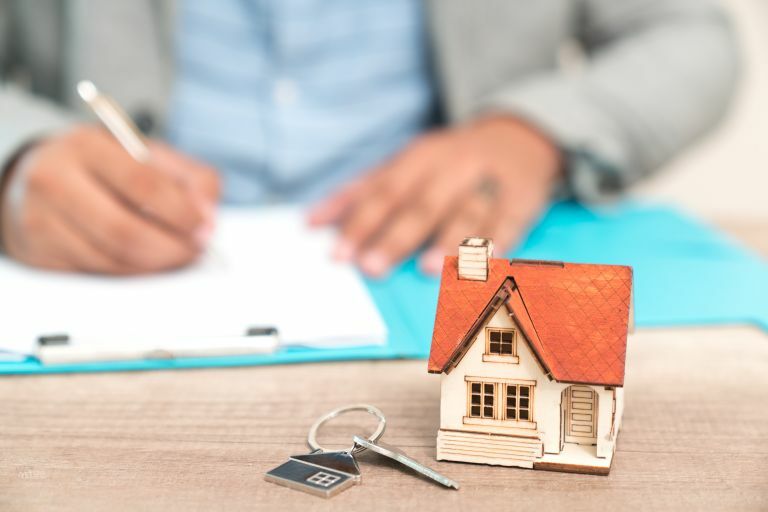 It may be possible to negotiate a shorter or longer term but the landlord – who is paying the letting agent – might not be keen on potentially having the extra expense of finding a new tenant in a few months’ time. However, in areas where there’s a glut of rental properties, a longer contract provides security to both parties. The deposit is usually between one months’ and six weeks’ rent. By law this must be held in one of these deposit protection schemes: www.depositprotection.com, www.mydeposits.co.uk or www.tenancydepositscheme.com. Find out which one’s being used, and you’ll be able log in and check for yourself once your money’s been lodged there. 3. Who will be managing the property? Ask whether the letting agent or the landlord is responsible for fixing any problems, and get contact details including a phone number and email address. In practice, dealing with a managing agent is often easier as every company will have a list of plumbers, electricians and other handymen to call in case of emergencies, whereas some landlords can be difficult to locate in an emergency. 4. Will I need to pay a holding deposit? This is a reservation fee to secure the property before you’ve signed the tenancy agreement. It will be deducted from your deposit or the first month’s rent, but you’re unlikely to get it back if you change your mind and decide not to go ahead. 5. Is the property being advertised with another agent? The last thing you need is to pay a holding deposit only to discover that viewings are still taking place as it’s listed with another agent as well. If this is the case, insist that it’s taken off the market straight away. 6. Can I see the gas and electrical safety documents, and the EPC? By law, gas appliances– including the boiler – need to be checked annually in rented homes. All electrical appliances must be safe, and in houses of multiple occupation (HMOs) shared by three or more people, it’s a legal requirement to have them inspected every five years. In addition, properties are required to have an Energy Performance Certificate (EPC) rating of at least E before being rented out. The agent should ensure that relevant certification is up to date, provide you with copies, and explain what the EPC rating means for your bills. 7. Have the smoke and carbon monoxide alarms been checked recently? Safety is paramount in rented homes and it’s a legal requirement for at least one smoke alarm to be installed on every floor of the building, and for a carbon monoxide detector to be fitted in any room with a solid fuel appliance – such as a wood-burner or coal fire. All alarms should be tested and working properly at the start of the tenancy. 8. Can I see a copy of the contract in advance? Take it home and read it through thoroughly. It may raise points that you might have missed with the agent breathing down your neck, such as who’s responsible for maintaining the garden, or whether you’re allowed to work from home. Ask for clarification if there’s anything you don’t understand, or whether clauses can be removed if you feel they’re unfair or irrelevant. 9. What are the upfront fees? A government bill aimed at bring an end to costly lettings fees will eventually make the process cheaper and more transparent, but for now, you may be asked for an admin fee and to pay for a credit reference check and an inventory. Find out exactly how much is involved, whether these charges are per person or for the property, and if VAT is included, as this will bump them up by another 20 per cent. Get the fees in writing.